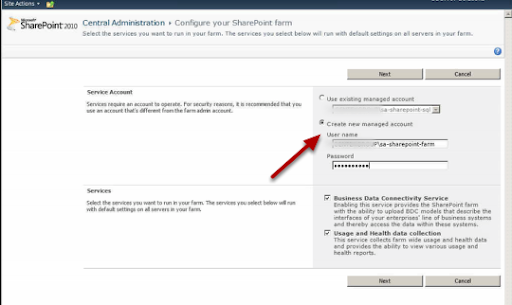 When you open Central Administration you are offered to configure Sharepoint with the wizard or manually, I am choosing to use the wizard. Did you create the domain account? If you have not created your domain account then you will see this error. 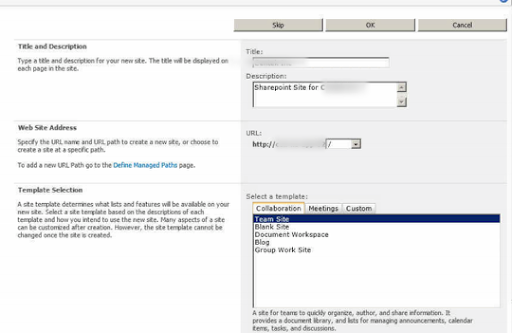 The wizard will offer to create the first default site, you can choose the Title, Description and Template.